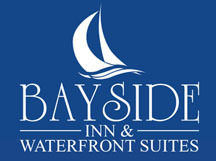 Our team at Bayside Inn & Waterfront Suites would love to host your next event in Kingston, Ontario, whether it is indoor or outdoor. For indoor small events, the Lobby Lounge can accommodate your small gatherings with food catering services. If you want space for larger get-togethers, book our outdoor waterfront. The waterfront boast a great ambiance for weddings or for any special events. For all rates and availability inquiries, please contact Najam Rehman directly at (613) 539-4493. We will do our very best to meet your needs.